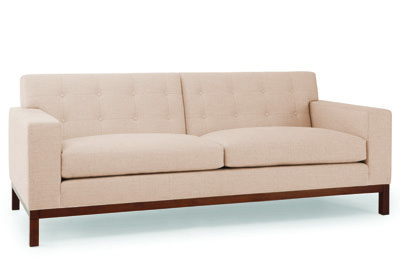 Simple, clean lines ensure that this two-and-a-half-seater sofa fits equally well in modern and period settings. It is 32″ high, 84″ wide and 36″ deep (also available in other sizes). 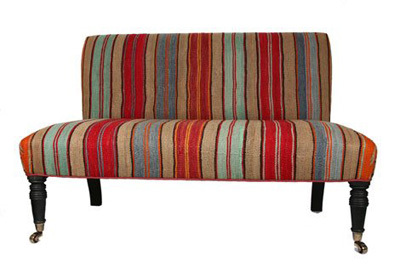 Priced at £3,450 (excluding fabric) through Kingcome Sofas (020-7244 7747; http://www.kingcomesofas.co.uk). 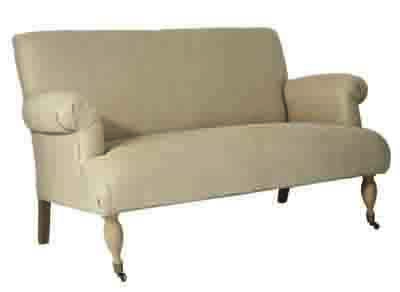 Classically English in design, this two-seater sofa has been upholstered in modern herringbone hemp. It is 34″ high, 58″ wide, 34″ deep. Priced at £1,650 through OKA (0844 815 7380; http://www.okadirect.com). A mid-18th-century design is the inspiration behind this structured sofa, with its bolstered cushion and tapered legs. 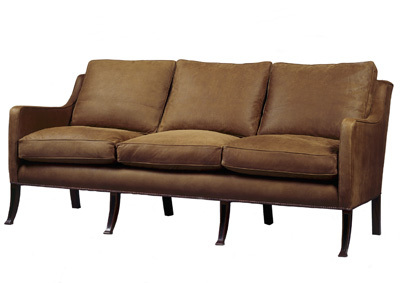 The standard version is 36.5″ high, 85″ wide and 35″ deep but size can be customized as each sofa is hand-finished. Price is £5,760 excluding fabric. Through Max Rollitt (01962 738800; http://www.maxrollitt.com). Made to order in Belgium, this stylish two-seater chaffeuse can be upholstered in calico, natural linen or a colourful, antique kelim. It measures 28″ high, 44″ wide and 22.5″ deep, and is priced from £1050 (for the calico version) to £1275 (for the kelim version) through Ben Pentreath (020-7430 2526; http://www.benpentreath.com). 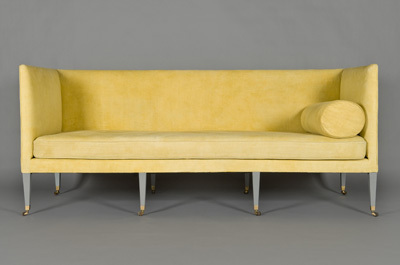 Designer Edward Bulmer was inspired by an early 19th-century design to create this elegant, award-winning sofa. It measures 35″ high, 83″ wide and 35″ deep, but is also available in a smaller, two-seater version. Priced at £4,900 through Lapaloosa (01963 359639; http://www.lapaloosa.co.uk).